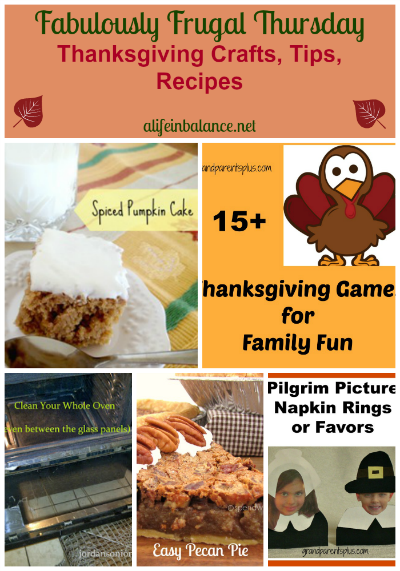 With Thanksgiving just a few weeks away, I’m featuring Thanksgiving Crafts, Tips, and Recipes this week on Fabulously Frugal Thursday. Picture Napkin Rings or Favors! Both add a lot of fun for Thanksgiving! Also, thanks for hosting this party! Hope the remainder of your week is awesome!